Did you know that lead pipes and solder are still a problem within city municipal water systems and in some older buildings? Up until 1986, lead was still allowed to be used in plumbing systems. The passage of The Safe Water Drinking Act prohibited the use of lead pipes, solder and fixtures in plumbing systems after 1986, according to the EPA, but if you have an older building that was built before 1986 and hasn’t undergone any significant plumbing system renovations, you may still have lead pipes and/or lead solder in your facility’s potable water pipes that could lead to contaminated water. Contrary to popular belief, The Safe Water Drinking Act does not prohibit lead in potable water. Instead, it sets limits on how much lead can be in drinking water. 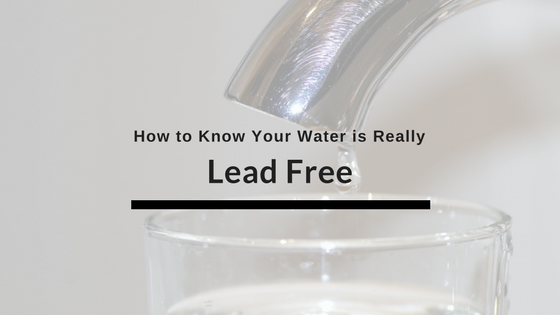 According to the Act, lead-free water is considered to be water that contains less than .25 percent of lead across all of the plumbing system’s wetted surfaces. The plumbing system must also contain not more than maximum of .2 percent when lead solder and flux are taken into consideration. Lead levels above these limits are considered unsafe and lead to contaminated water. While the Safe Water Drinking Act lists acceptable levels of lead for drinking water, the EPA and the CDC both state that there are no safe levels when it comes to lead exposure. This means that all levels of lead can be harmful if they build up in a person’s body as evidenced by a blood test for lead, and this is especially true when it comes to children. According to the CDC, lead exposure is extremely hazardous to children. 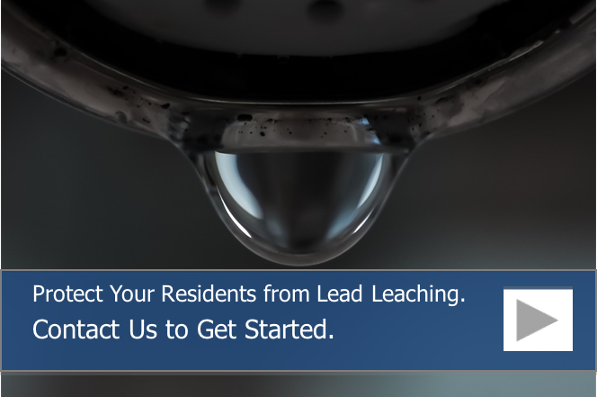 Unfortunately, lead exposure often has no noticeable symptoms. With that being said, lead poisoning has been known to cause slow growth, speech and hearing problems, focusing and attention problems and problems with behavior, according to the CDC. When your plumbing pipes are extremely corroded or nearing the end of their useful lives, they can lead to lead leaching into your drinking water as it passes through your plumbing pipes. This most often occurs if lead solder was used to join your copper water pipes, you have extremely old lead pipes within the walls of your building or if your water is extremely corrosive. If you suspect your building has lead pipes or you think you may have high levels of lead in your water, it is best to get it tested. Testing your water is the only way to know if there are high levels of lead in your potable water supply. This is because lead is tasteless and odorless. One of the ways you can help keep your potable water safe is by lining the insides of your plumbing pipes with epoxy pipe lining or an epoxy coating. Pipe coatings are used in smaller diameter pipes, like your potable water lines, in order to prevent further corrosion and seal small pinhole leaks and cracks. Pipe liners are inserted into larger diameter pipes, usually drain lines, in order to prevent corrosion and seal leaks. Here at Nu Flow, we can help determine which type of pipe lining you need in order to restore your plumbing system and help prevent lead contamination. To schedule a building pipe assessment to see if pipe liners and/or pipe coatings can help keep your potable water lead-free, call us at 815-790-9000.